Cementville has a breathtaking set up: 1969. A small Kentucky town, known only for its excellent bourbon and passable cement, direct from the factory that gives the town its name. The favored local sons of Cementville's most prominent families all joined the National Guard hoping to avoid the draft and the killing fields of Vietnam. They were sent to combat anyway, and seven boys were killed in a single, horrific ambush. The novel opens as the coffins are making their way home, along with one remaining survivor, the now-maimed town quarterback recently rescued from a Vietnamese prison camp. 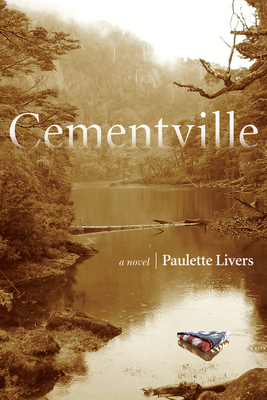 Yet the return of the bodies sets off something inside of the town itself --a sense of violence, a political reality, a gnawing unease with the future -- and soon, new bodies start turning up around town, pushing the families of Cementville into further alienation and grief. Presented as the Our Town of its time, we'll meet Maureen, the young sister of a recently returned solider who attempts to document the strange changes going on in her town; Harlan O'Brien, a war hero just rescued from three years in a POW camp whose PTSD starts bending his mind in terrifying ways; Evelyn Slidell, the wealthy icon and oldest woman in town, a descendent of the its founders and no stranger to what grief does to a family; Giang Smith, the 'war bride' who flees the violence of Vietnam with her new American husband only to encounter echoes of it in her new home; and the notorious Ferguson clan, led by the violent Levon and his draft-dodging younger brother Byard, who carry a secret that could further tear the town apart. With the Civil Rights Act only a few years old, a restless citizenry divided over the war, and the Women's Movement sending tremors through established assumptions about family life, Cementville provides a microcosm of a society shedding the old order and learning how to live with grief -- a situation with resonant echoes concerning war and community still being confronted today. Paulette Livers is a Kentucky transplant to Chicago via Atlanta and Boulder, where she recently completed the MFA at the University of Colorado. Her work has appeared in The Southwest Review, The Dos Passos Review, Spring Gun Press, and elsewhere, and can be heard at the audio-journal Bound Off. Livers was awarded the 2012 Meyerson Prize for Fiction (for material from Cementville), and received Honorable Mention for the Red Hen Press Short Story Award (also for material from Cementville). This is her first novel.